Don't let the title of this post fool you regarding the beauty and magnificence of this château nestled just 25 minutes north of Paris' Charles de Gaulle airport. A fairy tale vision surrounded by an artificial lake and magnificent gardens, the Château de Chantilly contains a superb collection of paintings within the Musée Condé. Left in a shambles after the Revolution, the greatly restored château consists of two attached buildings, "the Petit and Grand Châteaux", which are entered through the same vestibule. The estate’s Grandes Écuries (Grand Stables) are just west. Containing the Appartements des Princes (Princes’ Suites), the Petit Château was built around 1560 for Anne de Montmorency (1493 -1567,male), who served six French kings as connétable (high constable), diplomat and warrior, and died doing battle with Protestants in the Counter-Reformation. 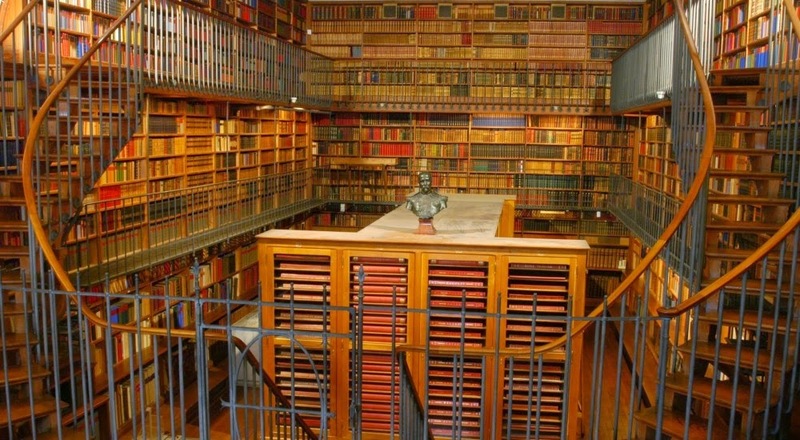 The highlight here is the Cabinet des Livres , a repository of 700 manuscripts and more than 30,000 volumes, including a Gutenberg Bible and a facsimile of the Très Riches Heures du Duc de Berry, an illuminated manuscript dating from the 15th century that illustrates the calendar year for both the peasantry and the nobility. The chapel , to the left as you walk into the vestibule, has woodwork and stained-glass windows dating from the mid-16th century. The attached Renaissance-style Grand Château , completely demolished during the Revolution, was rebuilt by the Duke of Aumale, son of King Louis-Philippe, from 1875 to 1885. 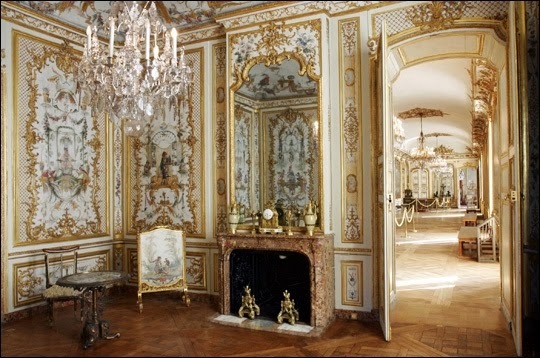 It contains the Musée Condé , a series of 19th-century rooms adorned with paintings and sculptures haphazardly arranged according to the whims of the duke – he donated the château to the Institut de France on the condition the exhibits were not reorganised and would remain open to the public. The most remarkable works, hidden in the Sanctuaire (Sanctuary), include paintings by Filippino Lippi, Jean Fouquet and (it’s thought) Raphael. The Condé Museum's painting collection makes it the number one museum of ancient paintings (prior to 1850) in France after the Louvre! Comprised of more than a dozen rooms, you will discover throughout the tour over 800 masterpieces of French, Italian, Flemish, English art and many more. During your tour you will enter the monkey room! The Monkey room is a charming boudoir (lady's dressing room), dated 1737 and previously credited to Watteau. It is entirely covered with Christoph Huet murals and represents an incredible and overwhelming number of scenes that feature monkeys and Chineses maggots. In the eighteenth century, monkeys and Chinese maggots were extremely popular and are frequently found in the salons and decorum of private hotels or châteaux. The breathtaking park features 115 acres, divided into three historical gardens: the French style garden designed by André Le Nôtre, the famous designer of the gardens of Versailles, the Chinese garden with its Hameau and the English garden. Chantilly is the only garden created by the gardener of Versailles that is in line with a statue, rather than with the chateau. Le Nôtre drew a great perspective that begins at the honor gate and ends at the statue of the Connétable Anne de Montmorency, extending to the other side of the Grand Canal, up to the forest. 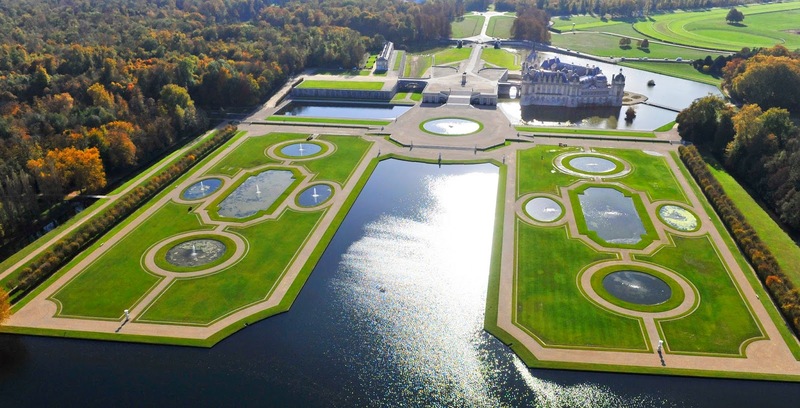 The Grand Canal of Chantilly (1,5 miles) exceeds by far that of Versailles. It is actually the Nonette, a tributary of the river Oise channeled by Le Nôtre. Of all of the Le Nôtre gardens, the gardens à la française of Chantilly feature the largest water expanse. Chantilly is also world famous for its New Museum of the Horse, the stables and the horse show. The museum is both an artistic and an ethnographic one, including an artistic crossing and hippologique ages with the displaying of about 200 objects showing the importance of the horse from the beginning of civilization. For the last 20 years, the Live Horse Museum has created season shows and horse demonstrations devoted to the art of Haute-École training, the highest and most considered form of equestrian training in France. 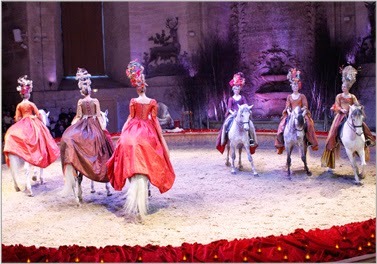 The goal of each and every show is: to engage the audience to the classic equestrian arts. Architect Jean Aubert built the Grand Stables at the request of Louis-Henri de Bourbon, the seventh prince of Condé. The legend says the prince was convinced he would be reincarnated as a horse and therefore wished for stables worthy of his rank. The horses are true partners to the Live Horse Museum riders. Before taking part in a live show, a long training period for the horses is essential. Focused mainly on the relationship with the rider, its aim is to get a total understanding of the horse's different reactions to ensure total harmony! Now, what about that whipped cream, you might ask yourself. It's being said that the whipped cream has been discovered right here, at Château Chantilly! A creamy, frothy and subtle preparation of immaculate whiteness, Crème Chantilly is loved around the world. Known in the Anglo - Saxon countries under the name of "whipped cream", it has however kept its French name in many countries, taking Chantilly culinary tradition beyond their borders. After visiting Chantilly, we agreed that staying overnight is a great option to complete this getaway and to feel like a prince or princess for a while. 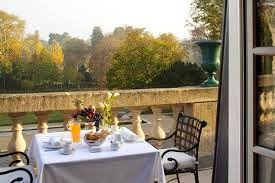 Stay a night or two at the "Auberge du Jeu de Paume" one of "Relais & Châteaux's" luxury destinations and enjoy a gourmet meal at the "La Table du Connetable", led by the 2 michelin starred young chef Arnaud Faye. The hotel also offers a beautiful spa that includes beauty treatments inspired by the history of Chantilly. ...You will feel like a prince/ princess, we promise! 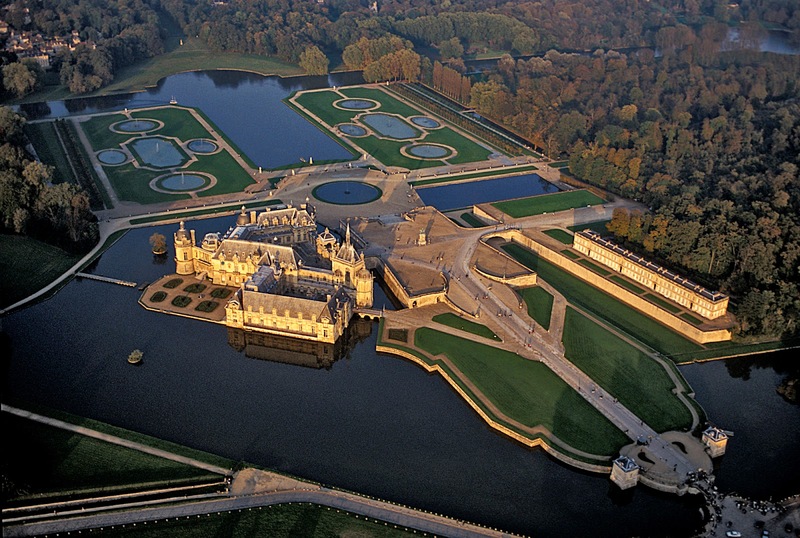 Email tripdesign4u@gmail.com for your royal getaway to Chateau Chantilly!